This definitive guide covers the design and application of absorbers and diffusers in acoustics. Surface diffusion is a relatively young subject area, and diffuser design, application and characterisation are often not well understood. Although there is greater knowledge of absorption, it is also informed by new research. As two of the main design tools for altering the acoustic conditions of rooms, the correct use of absorbers and diffusers is important to the creation of quality acoustics. This text details the evolution and the current state of the art in diffuser and absorber research and application. It covers a range of practical and theoretical aspects, with extensive examples of installations and case studies to cater to practitioners working in the measurement, modelling and design of rooms, semi-enclosed spaces as well as in noise control. It is also invaluable for students and researchers wanting a grounding in acoustic treatment, as well as understanding the latest developments. All chapters have been revised and brought up to date in this new edition, with new applications, absorbers and diffusers featured. Sustainability, portable vocal booths, and fast time domain models for diffusers are just a few of the new sections. Improved techniques for measurement and prediction are included, as well as bringing old methods up-to-date with the latest refinements from standards and research. Most of the prediction methods in the book are now linked to open source implementations and downloadable MATLAB scripts, enabling readers to exploit the knowledge in this book more readily in design and research. Trevor Cox is Professor of Acoustic Engineering at the University of Salford, and a past president of the UK’s Institute of Acoustics (IOA). He was award the IOA’s Tyndall Medal in 2004. Trevor has a long track record of communicating acoustic engineering to the public and is a regular popular lecturer and broadcaster. Peter D’Antonio is chairman of RPG Diffusor Systems, Inc, and has also worked at the Naval Research Lab in Washington, D.C. and as a musician and recording engineer. He has served as Chairman of the Working Group for the ‘Characterization of Acoustical Materials’ of the AES Subcommittee on Acoustics and is a member of the ISO Working Group for the ‘Measurement of the random-incidence scattering coefficient of surfaces’. "This revised edition consolidates the research and theory of acoustic materials known to date and will be a valuable resource for acoustic researchers, consultants and acoustic product manufacturers. I would also expect acoustic standards committee members to find useful information … If you have an earlier edition, as I do, there is sufficient new material in this edition to recommend purchasing this reference volume." 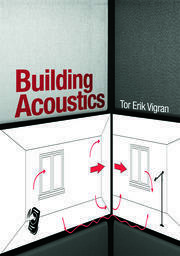 "This book is a vibrant update of previous editions which incorporates the latest 21st century thinking on absorbers and diffusers and as such it should be in every acousticians possession." "A valuable treatise in filling a great need to provide the essential basis for anyone who is or may be involved in architectural acoustics research, study, education and design practice." 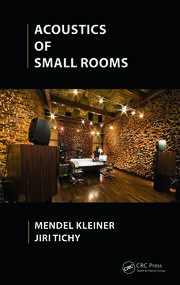 "The current edition is a must-have in any acoustician’s library. Even if you own an earlier edition, the updates and cosmetic reworking of the third edition breathes new life into this now-classic text." 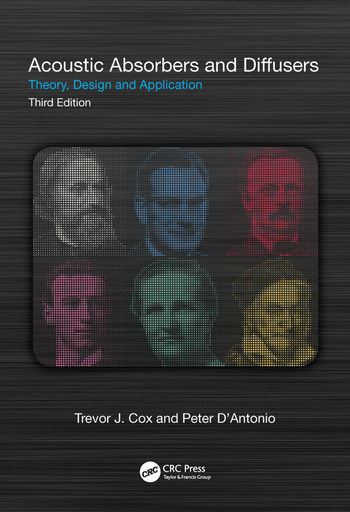 "Cox and D’Antonio can still claim authorship to the most comprehensive text on sound-absorptive and diffusive materials."